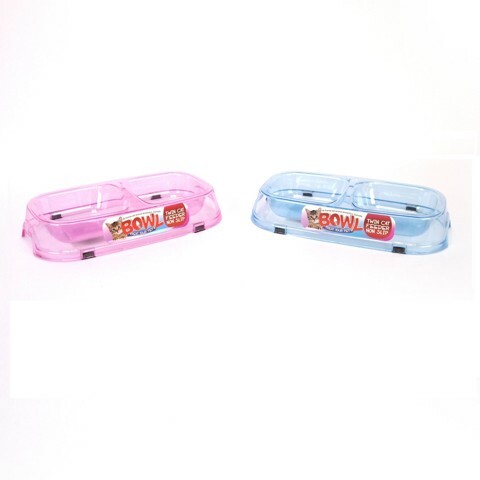 Cat Twin Bowl Non-Slip 3Asst. 24.5 x 13.5 x 5cm 3mm Thick. 3 Colours: Blue | Pink . AS Plastic. 119G Packaging: Bulk Pack.